The Wexler family opens their first jewelry store in Eastern Europe. 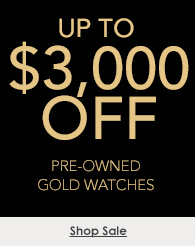 M. Wexler Watchmakers & Jewelers opens in Manhattan. 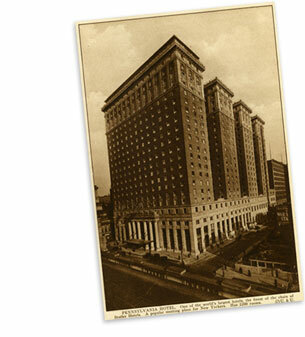 The Tourneau family emigrates from Paris to New York City and opens a watch counter in the Berkshire Place Hotel. This location subsequently becomes the future site of the “Tourneau Corner” store at 500 Madison Avenue. 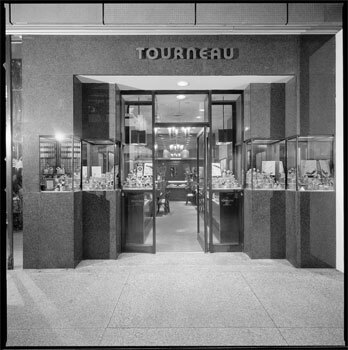 The Tourneau brothers open their first watch-selling store at 49th street and Madison Avenue, and the brand quickly becomes recognized as a watch innovator, developing and popularizing many new models in the 1930s and 1940s. 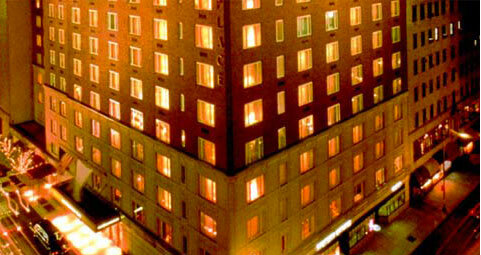 Tourneau expands with the opening of a second location in the Pennsylvania Hotel across from Penn Station. The Wexler family acquires Tourneau and adopts its name. The company expands outside New York with a store opening in Bal Harbour, Florida. 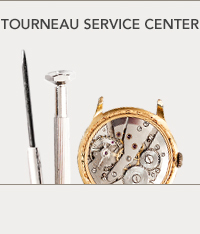 Tourneau’s service and repair center emerges, contributing to the growth and reputation of comprehensive customer service within the watch industry. Tourneau opens its first California location in Costa Mesa’s South Coast Plaza. 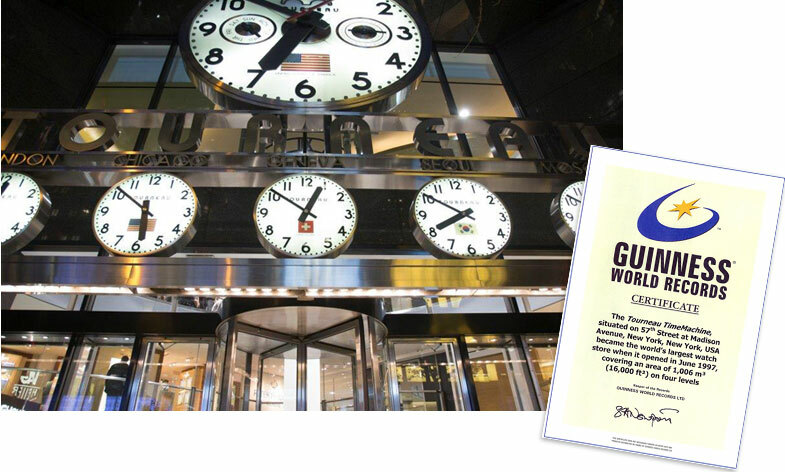 The Tourneau TimeMachine opens on 57th and Madison Avenue, an astonishing 16,000 square foot timepiece emporium and is recognized as the ‘World’s Largest Watch store’ by Guinness World Records. Tourneau launches its first website. Tourneau celebrates its 100-year anniversary as a watchmaker and luxury watch retailer. As Tourneau enters the new millennium, the “Watch Gear” store concept is introduced, building on the success of Tourneau luxury watch stores and our commitment to appealing to a younger clientele. 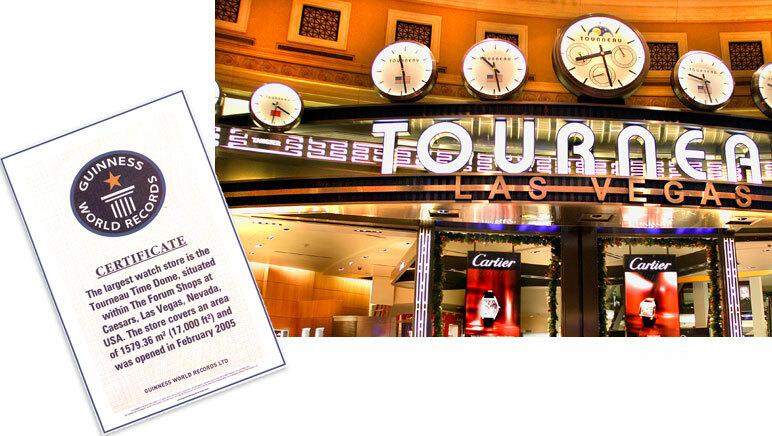 Tourneau Time Dome opens in Las Vegas, becoming the world's largest watch store and surpassing the company's previous record. A state-of-the-art watch service and repair facility opens in Long Island City, New York, maintaining Tourneau’s position as the customer service leader in the watch industry. Tourneau introduces a contemporary collection of unique timepieces, the TNY Series, bringing modernity and modularity to traditional watchmaking. The Tourneau Watchmaking School for New York City high school students launches in collaboration with CDI Night & Day School. The ‘Tourneau Knows’ campaign launches, becoming the first national institutional campaign. Tourneau continues to evolve the customer experience both in store and online with the opening of a third landmark New York City location and the launch of a newly designed website.